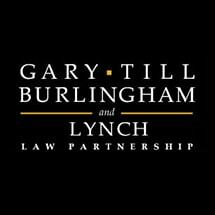 For over 40 years, Gary, Till, Burlingham and Lynch has provided comprehensive and effective family solutions to our clients in the Greater Sacramento Area. Our practice is devoted to serving clients in Family Law, Divorce, Adoption, Estate Planning and Probate matters. We are committed to providing excellent legal representation, prudent use of client financial resources, and guidance in reaching meaningful resolution of family conflict via skilled and amicable negotiations or aggressive advocacy in court. We understand the trauma of family conflict and we will partner with you to reach meaningful resolution of the dispute without unnecessary escalation of tensions. When you work with our family law, adoption, estate planning and probate lawyers, you will experience the comprehensive approach our legal team applies to each case. Our attorneys meet directly with you to realistically assess the case, analyze available options, and partner with you in developing an effective case strategy for your short-term and long-term goals. At Gary, Till & Burlingham, our client-focused, solutions-based approach has helped many families through difficult times. We are confident we can be an advocate for you in the midst of your Family Law, Divorce, Adoption, Estate Planning or Probate matter. Please call or email us today to set up your consultation with one of our attorneys.